Bistro Lafayette is the meeting place for the Bed-Stuy North Improvement Association. I figured that if people are planning on attending the meetings, Monday nights at 7:30pm, someone should review the food there. And since I like food... 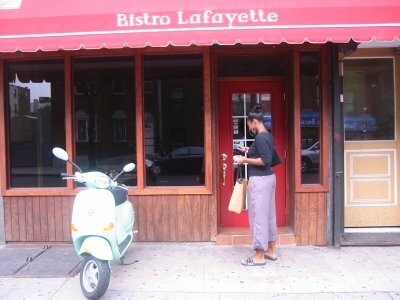 So, Bistro Lafayette. My little ride parked outside as Marise opens up. The inside of Bistro Lafayette. 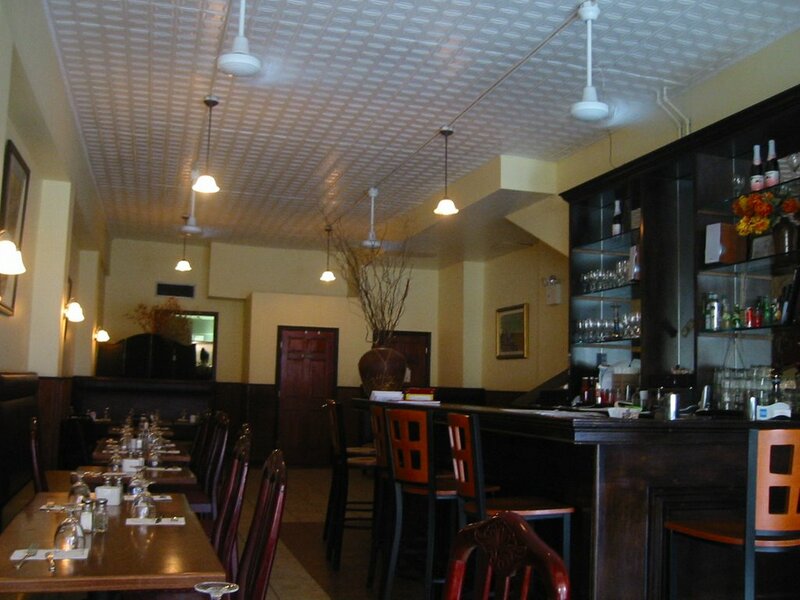 It's located on 338 Franklin Avenue, not Lafayette Avenue as previously posted, between Greene and Lexington Avenues. On my first visit (more on this in a second) I took the recommendation of Marise, the very pleasant hostess, and ordered the Lafayette Burger, a burger with goat cheese and carmelized onions, for $8. 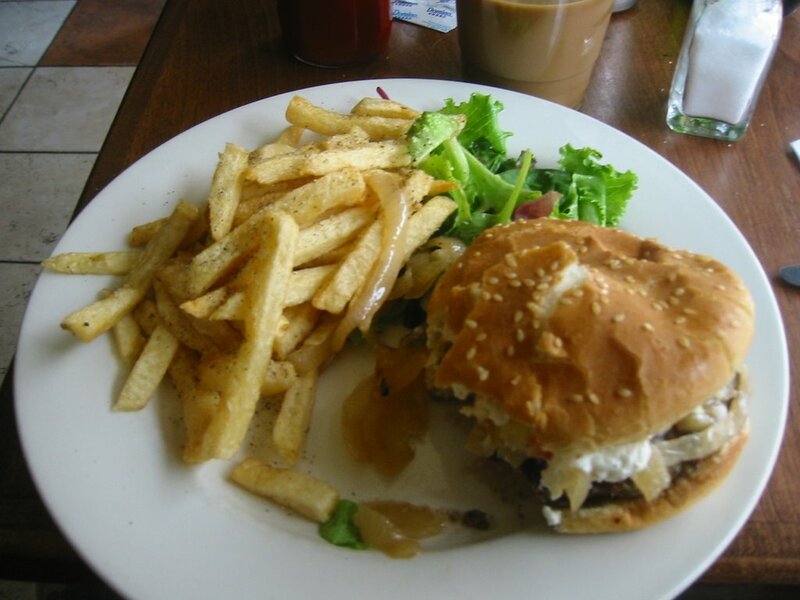 While the idea of goat cheese and carmelized onions sounds great on a burger there was something still...missing. Good idea, good ingredients but something keeped it from being "great". I couldn't really put my finger on it...and I probably could have figured it out but I got caught up in a really funny conversation with another patron and Marise that I totally forgot to take notes on the food. An incomplete food review by me just wasn't going to cut it. So I went back the next day for breakfast. Bistro eggs with a side of Turkey bacon. This time I ordered the Bistro eggs for $5. 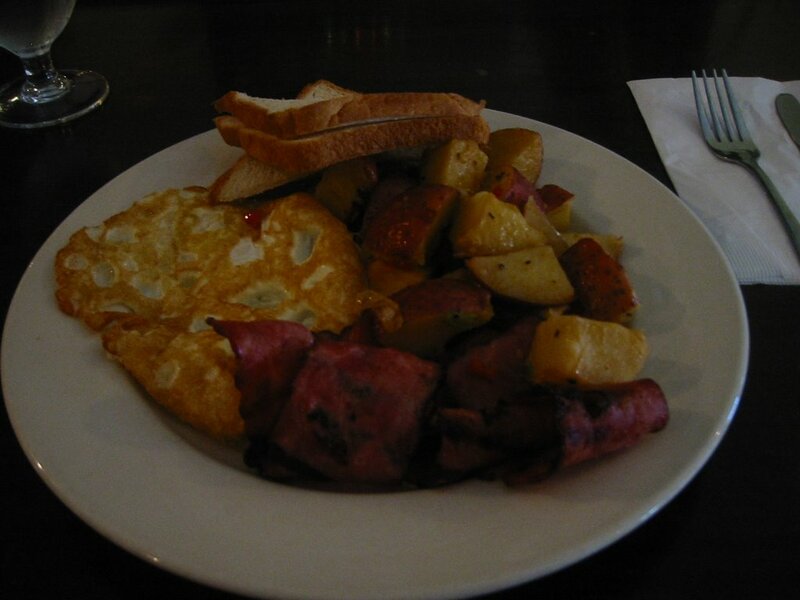 (Eggs any style, toast, grits, fries or home fries.) I got my eggs over medium, passed on the grits (they get all over everything) and got some Turkey bacon on the side. Turkey bacon was excellent, home fries were good but my eggs were a little overcooked. Eh. I'll live. Now while I do have to say the food is just passable I would go back again because I had such a great time eating there. It's usually tough to eat alone in restaurants but I never felt like I was eating alone as the patrons and staff were all really nice and willing to engage in silly conversations. It's really one of those nice neighborhood type of places that you can see yourself going back to again and again just because it's so friendly and comforting. I just wish it was closer to me.